Ok its been almost 6 months since I actually visited there, but one of the destinations I am asked most about whilst I was travelling, and am still asked about now I’ve got back is about tips for visiting Burma/Myanmar. Whilst I have resisted the slightly pointless urge to try to come up with a favourite destination on my trip, Burma/Myanmar was certainly somewhere special, and was one of the places I spent most time at relative to its size, exploring a fair chunk of the country in 26 days. 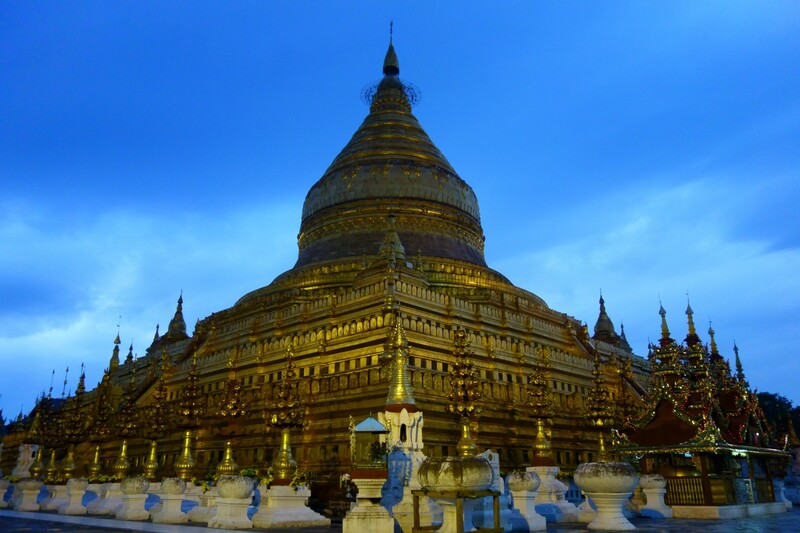 Here therefore are my top tips for any trip to Burma/Myanmar. What should you call it? I’ve blogged about this in more detail in an earlier post here. But in short, most people won’t mind whether you use either Burma or Myanmar as the name of this wonderful country. However those that do mind tend to have rather strong views on the subject so it’s probably best to defer to whatever term they use. Just remember the arguments for either side are not straight forward so try to avoid being judgemental on anyones individual stance. I’ve heard that accommodation is really expensive, is this true? How do I book accommodation? There is nothing on Hostelworld! Because internet is so patchy in most of country, and almost non-existant in some parts, the best way to secure accommodation is to ring ahead. Most guest houses/hotels have no problem with helping you with this and to be honest it’s almost expected. In peak seasons, accommodation can start to get scarce in some areas, but as a general rule, booking ahead the night before saw me through. What is the main tourist route? Most people will visit Burma/Myanmar on a flight from Bangkok getting into Yangon, before exploring Bagan and Inle Lake and then leaving after about 7-10days. I have not visited Inle Lake so cannot offer a well judged opinion on it, except that you can expect it to be “touristy” (and hence a bit more expensive than elsewhere) in much the same way Bagan is. 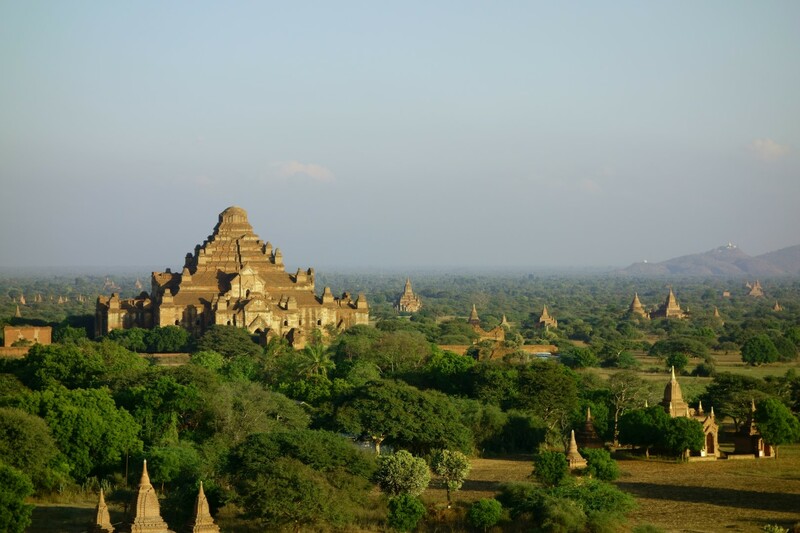 By all means include these places in your Burma/Myanmar itinerary, Bagan in particular for all the complaints you will hear from “real” travellers that it is too touristy and Western, does contain some truly stunning sights, and the 100’s of temples it is famous for are spread over such a wide area that its easy to avoid the crowds most of the time. Foodwise, Bagan is a place I would suggest dispensing with the urge for “local food” and just indulging in some often quite excellent western style cuisine. Especially if you have been off exploring some of the more remote parts of the country first, it can make for some variety in your diet. But the main reason is that the majority of restaurants here will be charging “western” (read expensive) prices for all their types of cuisine, be it local or western, and paying over the odds for “local” food you can get for a fraction of the price in much of the rest of the country doesn’t make much sense to me. 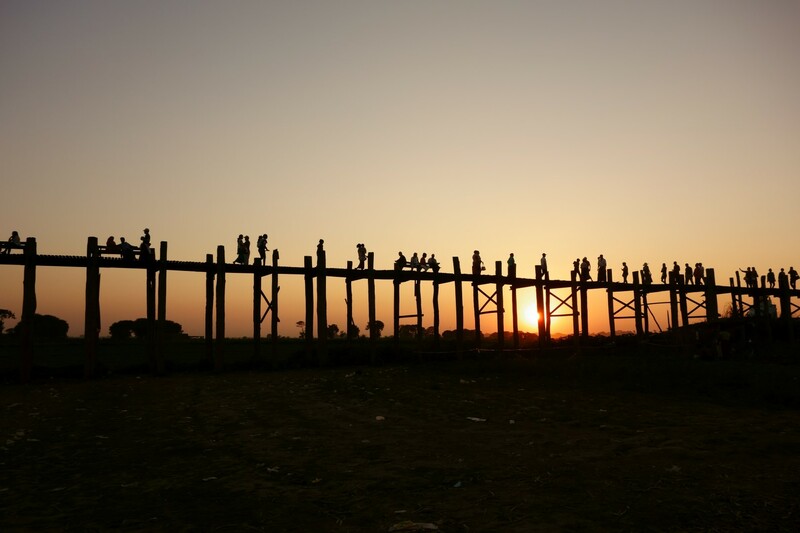 In terms of where else to go in Burma/Myanmar – it is an ever-changing scene as more and more of the country is opening up. The most up to date information will be what is available on the ground from locals and fellow travellers, so don’t always take information on the internet, telling you it is impossible to get from A to B, at face value – it may be out of date. 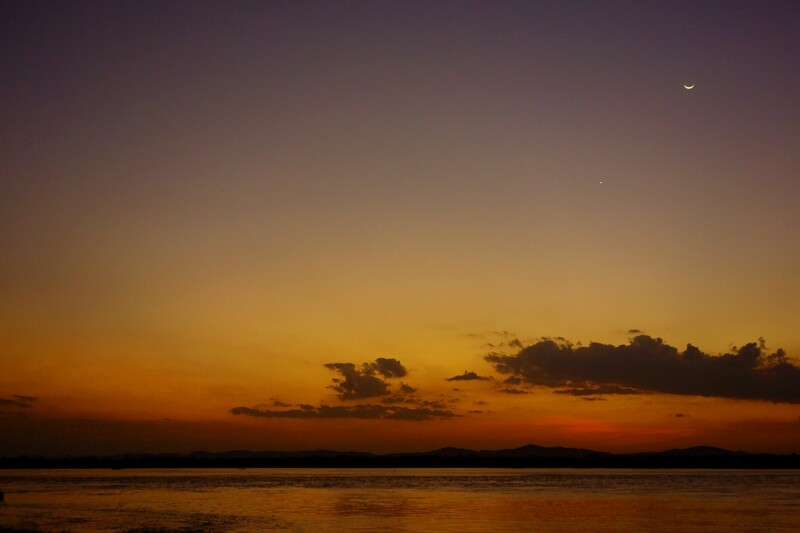 Places I would certainly recommend you visit at a minimum, would be Mawlamyine and Hpa-An, both of which are a reasonable bus ride away, south of Yangon and are also on the way from the main land border crossing with Thailand at Myawaddy/Mae Sot. Expect to eat some of the nicest curry you will ever taste in these two towns. When I was there at the beginning of the year they represented a fantastic balance between a place that was off the beaten track as well as having just about enough tourist infrastructure for those visitors that made it there. With the opening of a new, quicker road linking these towns to the Thai border, they may soon start to see many more Western visitors, so the earlier you see them, the less “touristy” they will be. Far more off the beaten track is Mrauk U this is a much smaller, though similar, temple site to Bagan, although in my mind it is different enough to warrant visiting both if you have time. Getting there is a be of a slog involving either a flight and boat road or a VERY long and not particular comfortable bus ride. Despite its seeming isolation it is not exactly devoid of tourists, so don’t go expecting to be the only traveller there, but it’s certainly far from over-run and wandering around at dawn as the local village wakes up definitely makes you feel like you’ve dropped of the radar a bit. I posted on it here. Other areas to visit, particularly for trekking are Kelaw near Inle lake and Hsipaw, north east of Mandalay. Both will offer interesting treks and but neither will be taking you where “no-traveller has been before”. 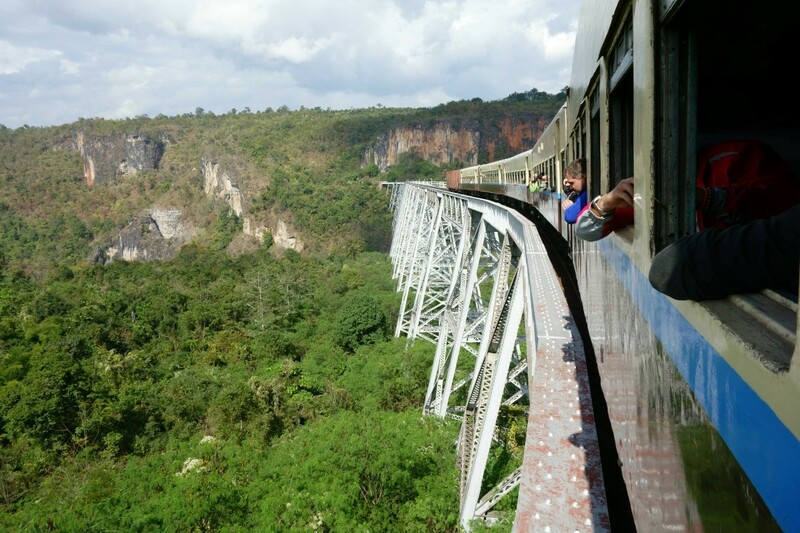 Hsipaw has the excellent advantage for me at least of being reached by a rail journey including a spectacular traversing of the Gokteik Viaduct. But I have also heard tremendous things about the rail journey to Kelaw from Thazi where you will likely find yourself with few, if any Westerners for company. Mandalay makes a good gateway for the North, but, outside of a stunning bridge (best viewed at sunset in my opinion), is not as exotic or exciting as its name suggests. From here, depending on season you may have several destinations further north you can head to via long boat journeys. I did not take these but have heard very good things about them if you are feeling adventurous. What is the best way to get around the country? Another thing to keep in mind is that most people in Burma/Myanmar don’t have time to waste getting from A to B during daylight hours. Therefore most buses will run overnight, and will generally be timed to arrive at what seems a pretty insane hour for most tourists – 4 and 5am arrivals tend to be the norm! (Although at Bagan this can be an advantage, giving you time to check into a hotel and still have time to see the sunrise over the temples). Train travel is your other option for getting around the country, and although I think you should most definitely include at least one train journey in your itinerary, I really wouldn’t recommend it as a practical way to get around most of the country. The trains are really slow, except for when they seem to be going frightenly fast, and the bounce can often be so severe as to make you fear you will leave the train with an extremely bruised coccyx. In most cases, the bus offers a superior mode of transport, but if you are travelling somewhere really outside of the main tourist centres it can be your best bet, and it is also a great way to meet ordinary people and see some spectacular scenery. The journeys to and from Hsipaw to Pyin Oo Lwin and Kelaw to Thazi are journeys I would recommend based either on personal experience or recommendations from others that I trust. 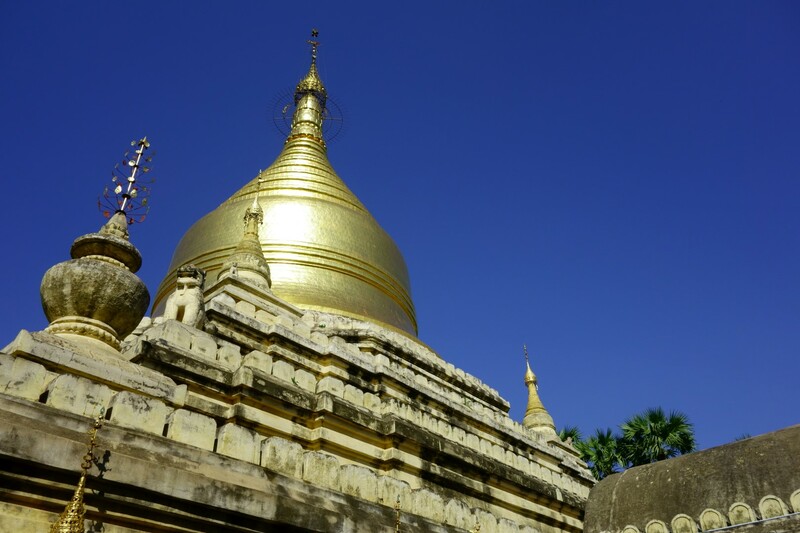 As for something like Mawlamyine to Yangon….well it will be a pretty interesting experience to say the least – you will get a bit of an idea from my blog here. Becoming rarer as roads slowly improve, boat transport is still an option in parts of the country, particularly during wet season. A good journey is between Hpa-An and Mawlamyine, although this is just a small boat put on for tourists. Flying is of course also another option, albeit not one I can offer too much insight into! But if I was to offer a view it would be that with the potential exception of taking a flight on route to see Mrauk U, is unlikely in most cases to really save you enough time to be viable versus the cost and speed of taking a bus. If you are already in South East Asia, the easiest way to get a visa is simply to queue up for one at the embassy in Bangkok, particularly if you want to enter via land. You should be able to pick up your visa later the same day. You need to fill out a form and bring a photo, but there are stalls outside the embassy that can basically provide everything you need. Keep an eye on their website for opening hours, it can change. Prices will vary depending on how quickly you need the visa. Theoretically I understand that they are only supposed to offer you same day service if you can show a flight ticket leaving for the next day – but it does not seem to be enforced – it certainly wasn’t for me anyway! If you are flying into the country I understand you can now also arrange an E-Visa – but you will have to check elsewhere for details on that. Entering by land has become much easier in recent years. There are three potential border crossing points. The most practical I think is at Myawaddy/Mae Sot particularly since the opening of a new road which should mean you no longer have to check what day it is to find out in which direction traffic is allowed to travel on the road into the rest of Burma/Myanmar. It is within a day (or overnight) bus ride from Bangkok and is also easily accessible from Chiang Mai. Crossing the border itself is straight forward, and as a foreigner you will be made to skip the lines of local migrant workers so should find yourself across in no time at all. Further north and also accessible from Chiang Mai is at Tachileik/Mae Sai. However at the time I was in the region, whilst it was possible to cross into Burma/Myanamar from Thailand here, it was not possible to access the whole of the rest of the country without first taking an internal flight assuming you want to travel further than Kyaing Tong. This may change in the future, see what people on the ground can tell you. Whilst needing an internal flight makes it less straight forward than Myawaddy/Mae Sot, you will be exploring a much less visited part of the country. To the south, the crossing at Htee Kee/Phunaron is rather out of the way, but has been used successfully by several travellers that I met, and is a good way to come up and exploring the south of the country starting with Dawei. I have also read that you can also cross in the south at Kawthaung/Ranong. The food is, in my opinion, often fantastic. The curry’s on offer in many cities will often be the nicest thing you will ever eat, and the tea-leaf salad is also good. The risk of food poisoning is something travellers are often wary off, and I did succumb for the only time on my whole trip thanks, I believe, to middle-of-the-night-roadside-brought-corn. 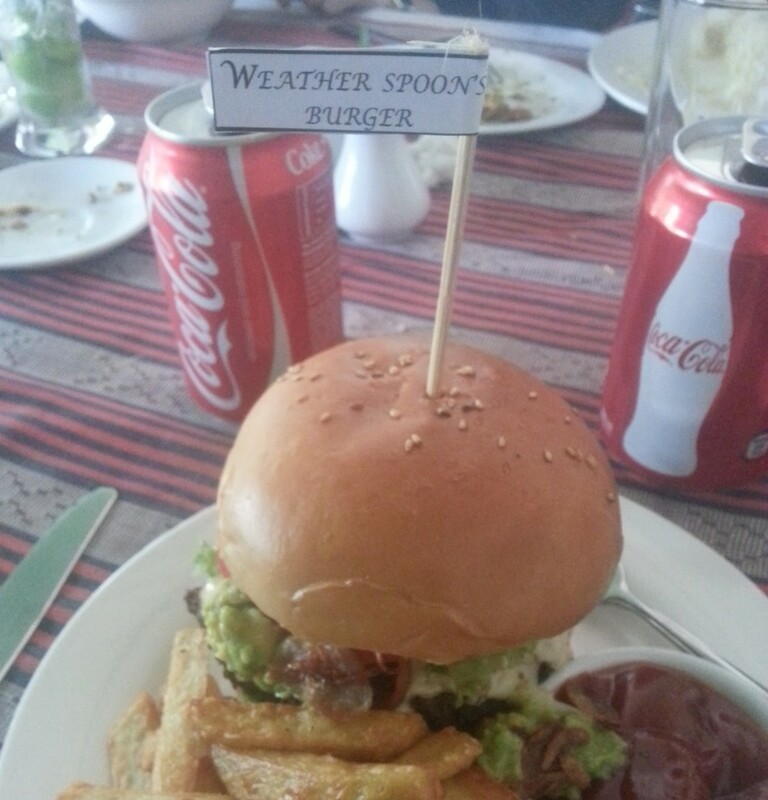 However I would still recommend you don’t let this put you off trying the local cuisine. Green Tea Leaf Salad really is a pretty unique dish. What about other things like getting cash out and using the internet? Internet is patchy, but does exist, bizarrely you will most often find it inside the major Buddhist Temples, with numerous monks sat gazing at their smart phones! Best not to rely on it too much though, and to be prepared at least to be cut off for a bit. Cash always used to be an issue with visiting Burma/Myanamar, with banks and businesses requiring perfectly crisps US$ and rejecting anything with the slightest tear or crease. Luckily however, getting hold of crisp dollars in Thailand is pretty straight forward as most money changers /banks are used to requests from tourists entering Burma/Myanmar. Even luckier still, is the fact that this is now almost a redundant process anyway as you will find ATM’s in most of the places you will likely visit as a tourist. That said a supply of crisp dollars will always be a useful and sensible back up. Do you need health insurance? What about Malaria? If you choice not to get travel insurance you are, in my strongly considered opinion a complete an utter idiot, just asking for all sorts of horrible health and financial related consequences. Perhaps unsurprisingly, getting seriously ill in Burma/Myanmar is not a great idea, and in severe cases you are likely to require medical evacuation to get appropriate care. So unless you want to force your parents to reportage their home to pay for your treatment – get some insurance. Also, whilst I am not a doctor, I can tell you that malaria is not a made up disease. And unlike most of Thailand and the rest of “touristy South East Asia” in Burma/Myanmar it really is a thing that people catch. The best way to prevent it is not to get bitten, but that’s no excuse in my book not to take antimalarials as well. Be aware that if you want to take malarone you will need to buy it before you get to South East Asia, as malarone it is only available here as a treatment (this is to try stop the disease becoming resistant to it). Luckily doxycycline (which isn’t the one which gives you trippy dreams) is widely available and at the time of writing perfectly adequate as long as you remember to take it for the full period. Also don’t take it on an empty stomach. Some people will tell you that you should take it on an empty stomach as this is how it is most effective. This may well be true but you are in my experience, much more likely to then just vomit everywhere if you do try taking it on an empty stomach, which in my mind undermines its effectiveness rather more than making sure you take it after eating. It also goes without saying of course that you should speak to a doctor before popping or not popping pills and it wouldn’t hurt to do your own up to date research on websites like the NHS’s travel advisory site and the USA’s Centre for Disease Control which have lots of info on Malaria risk zones. Please use the comments section below if you find anything in this post to be out of date or in need of an update.